“Ted trabaja en la granja. Cuida a los animales. 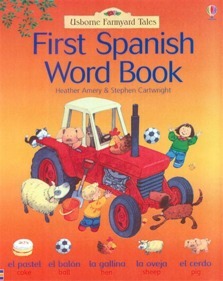 Favourite characters from Apple Tree Farm help introduce very young children to their first words in Spanish. Brightly coloured illustrations with lots of things to look at and talk about enable young readers to develop picture and word associations.